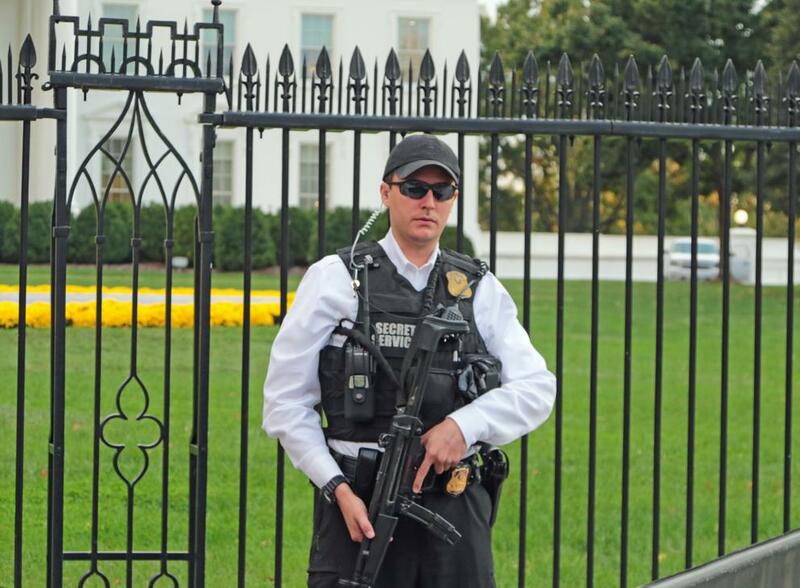 A violent assault left a U.S. Secret Service officer injured while on patrol outside the White House Saturday. The attack took place shortly after the immigration rally in Lafayette Park. Federal court records say a man identified only as Carmona illegally parked his BMW along Pennsylvania Avenue. The man moved a bicycle rack-style barrier that was put in place for the rally and screamed, "Where is the president" at officers. The court documents say that Secret Service members attempted to stop Carmona for illegally parking but after he moved the barrier he punched an officer in the jaw and left the eye. The two Secret Service officers took Carmona to the ground and restrained his hands and feet because he was kicking so violently. A Secret Service affidavit says one of the officers suffered a possible concussion as well as an injury to his knee. The affidavit also says, "Carmona was placed under arrest for assaulting a federal law enforcement officer. While being placed under arrest, Carmona asked 'Where is the President?' He also stated to officers 'Just end it, just kill me'." A judge ordered Carmona to receive a forensic exam Thursday at D.C. Superior Court and that he stay away from Officer Young, the White House and several streets in the area. Carmona was booked in jail on a charge of assault of a federal law enforcement officer. The documents did not reveal whether Carmona had anything to do with the immigration rally that had taken place just prior to his arrest. Around 30,000 protesters were said to have gathered outside of the White House for the Families Belong Together Rally. According to News4's investigation team, there have been almost 30 breaches of the White House's security since 2014. Trump should show up to the arraignment. Just for kicks.